UTOPIA – Page 2 – Free UTOPIA! If you still have questions about UTOPIA and Macquarie, Layton wants to make sure you get some answers. Per a letter they sent to residents, they’re holding two public meetings next week. In all of the city council discussions over the Macquarie deal, the conversation has been dominated by the potential cost of the utility fee. Even with the extremely high probability of generating enough revenue to cover the utility fee and reduce the bond payment, it’s all about what how much money is going to be collected from the cities. This has sunk the deal in about half of UTOPIA cities and looms as a threat over the ones that opted to get more details under Milestone Two. If Macquarie wants this to pass, they need to quash this main opposition talking point. My projections are that this Macquarie deal creates a whole lot of money, both for Macquarie and the cities. Macquarie is operating in a very risk averse fashion despite this. They need to put more skin in the game in order to get current UTOPIA cities to take the deal and expand it across the state and the nation like they want. With their size and the low break-even point (35%-ish take rate), that should be easy to do. Macquarie could alter the deal to eliminate or sharply reduce the direct utility fee. In its place, they should stipulate that they take 100% of the wholesale revenues until what would have been the utility fee is covered, then go back to the revenue split for any money beyond that. This would remove the possibility of cities having to pay anything for the deal and creates a small (and very remote) risk of them taking in less money than what it costs them to operate the network. There would be no way to scaremonger that the cities would be creating a huge tax on residents. This is still a really good deal for cities. They eliminate all operational and maintenance costs associated with the network. If it doesn’t work, the only money they have to pay is the original bonds that they would have had to pay anyway. If it does work, they lower the bond payments. Either way, the network gets done, they eliminate the operational costs, and they get a completed network back at the end of 30 years. There’s still downsides to this approach. Macquarie had planned to bond for 80% of the money needed to complete the build. The utility fee ensured that they could secure the best possible rates to do so. Without that kind of security, they would have to find alternate financing options or direct money internally to the project (and away from other projects). It could be harder for Macquarie to pull together the money and it will definitely mean that the revenue split for cities would be much smaller. It also means that Macquarie could end up not meeting their required ROI. Maybe what Macqaurie could do is offer the cities three options and let each city pick the one that works for them. Option 1 would be the current utility fee with a maximum amount of revenue sharing to the cities. Option 2 would be no utility fee, but the cities have much lower odds of getting any kind of wholesale revenue split. Option 3 would be a lowered utility fee with a lowered share of wholesale revenues going to the cities. This would allow a lot of flexibility in how cities can opt in. It also allows Macquarie to at least partially take advantage of lower interest rates for the cities who take Option 1. So far, Macquarie hasn’t played the politics of the situation very well at all. Despite a few big successes in the beginning, they’ve gotten their clocks cleaned in most of the cities that voted later and they haven’t been willing to accept that this is a full-scale war, not some alley fight. I’m hoping that they’ve paid attention and are willing to look at ways to keep this a good deal all around while defusing the biggest arguments against taking the deal. In a 4-0 vote (one council member was not present), Perry opted to move forward with Macquarie’s Milestone Two proposal for UTOPIA. This brings the final total of addresses participating to just shy of 53%. Each city who opted to get the full proposal will still need to vote to accept it once it’s completed. All UTOPIA pledging cities have had a chance to vote on the proposal before the June 27th deadline to respond. Orem voted 6-1 to reject Macquarie’s proposal for the UTOPIA network. Orem represents 18.7% of the total addresses covered by the network. Midvale, West Valley City, Layton, Tremonton, and Brigham City have all voted yes while Payson, Lindon, Centerville, and Murray have voted no. A vote from Perry is expected tonight as well and they are expected to move forward, though the city accounts for slightly less than 1% of passed addresses. The total addresses that will be covered under Milestone Two stays at 51.8%, though Perry could nudge it close to 53%. While the deadline for response to the Macquarie proposal is Friday the 27th, cities may still be able to work on a deal with Macquarie to get fiber infrastructure in their cities. It’s very likely, however, that the cost will be higher and they will be at the end of the line for construction. Macquarie has enough cities interested in Milestone Two to move forward with the proposal which should take about two months to complete. At that time, the cities who opted in will have the chance to review and vote on it. Upon acceptance, Macquarie is going to stick to an aggressive 30-month build plan. Centerville followed Murray in rejecting Milestone Two tonight, this one on a 4-1 vote. Only Perry and Orem are left to vote, but so far over half of the addresses covered by UTOPIA are opting to move forward with getting more information from Macquarie on the true cost to build, operate, and maintain the network for 30 years. Despite what you may hear, this is enough to have the Macquarie deal move forward if the Milestone Two cities accept the finalized proposal. Most disappointing is that Centerville has 93% coverage in their city, so the vote appears to be a “we got ours” kind of statement. 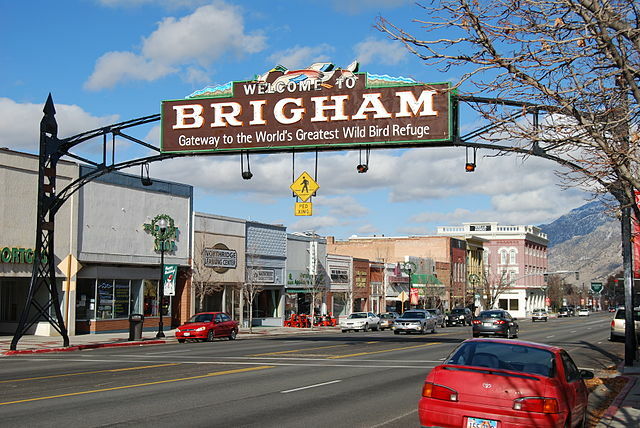 Tremonton and Brigham City both voted yes despite similar levels of coverage, recognizing that this is the best offer on the table and a better one is unlikely to come along. 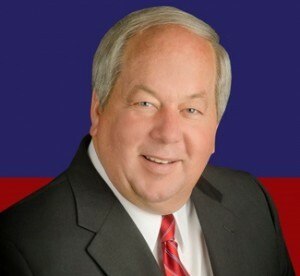 Murray joins Payson and Lindon in declining to move forward with the proposal from Macquarie. The council voted unanimously to pass despite not really having any other workable options on the table. Of course, they’re now in a heck of a pickle: Murray has attracted numerous businesses to the city (including a new location of the Moran Eye Center) with UTOPIA, but they’re running the risk of the network going dark if they won’t cover any operational shortfalls. Centerville is also taking a vote tonight in a special council meeting. I’ll post when I have results from there. I’ve personally also heard or seen statements from SumoFiber, Veracity Networks, and WebWave that they have no problems providing the basic tier, a contractual requirement to remain a service provider on the network. @heppler Another lie. We've been committed to full ubiquity since the start. @BRUNST_4_Mayor does not speak for @XMission. It’s no secret that Mayor Brunst is a likely no vote against the Macquarie deal, but outright lying about a well-respected local company to try and convince others to do the same is a new low. The Mayor owes everyone at XMission a huge apology for simply making crap up. 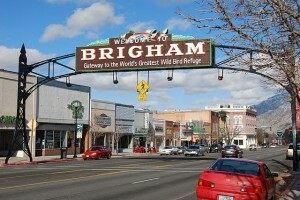 Brigham City became the fifth UTOPIA city to move forward with the proposal from Macquarie and seek full details under Milestone Two. The council passed it on a 3-2 vote. Cities who have not yet taken a vote include Centerville, Orem, Murray, and Perry. This means that over 51.8% of homes in UTOPIA cities are now on board with getting full details of the proposal from Macquarie. Word on the street is that Perry might actually move forward with the deal to not be left behind by their northern neighbors. Given that the city currently has no fiber, this may be the only way for it to make good on its existing bond commitments. They’ll be holding their next city council meeting on June 26th at 7PM.